Lightning supposedly never strikes twice, but Rick Ross proved that's not true when he recorded a pair of songs premised on comparing himself to other people over nearly identical beats from Atlanta-based producer Lex Luger. Sequenced back-to-back on Ross' Albert Anastasia mixtape and his Teflon Don album, "M.C. Hammer" and "B.M.F. 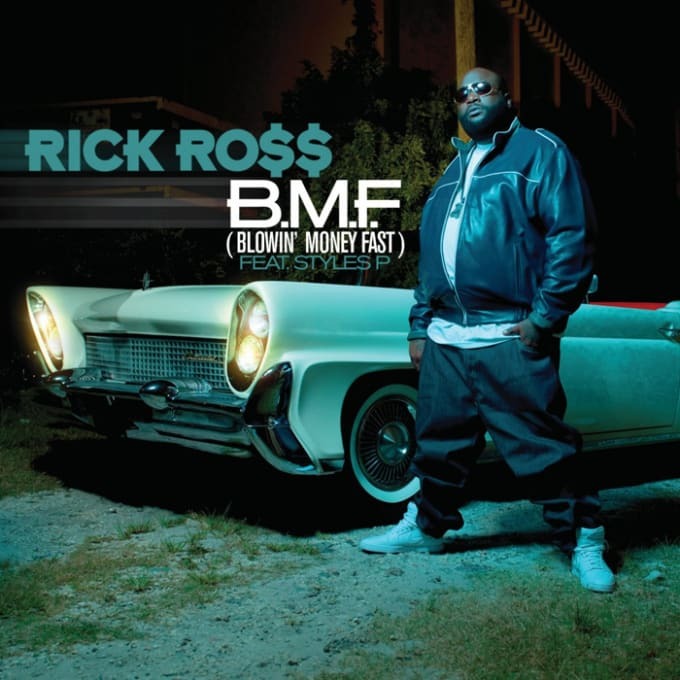 (Blowin' Money Fast)" each became a massive street single in their own right. But it was the latter, with its unforgettable "I think I'm Big Meech, Larry Hoover" refrain, that truly became the hood national anthem of 2010. For nearly a whole year it was virtually impossible to hit the strip in Miami or any other U.S. city without hearing "Blowin' Money Fast" booming from at least one trunk.